The Marine Corps’ Blue Dress “A/B” uniform, com-monly referred to simply as “Dress Blues,” is one of the most instantly recognizable and beloved military uniforms ever created. 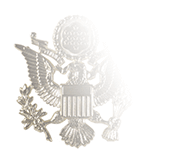 It is also the only standard issue uniform in the U.S. military for enlisted personnel that comes with a shirt on which cuff links are required. 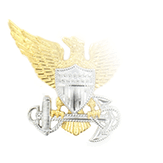 Unlike some services that have different color or styles of cufflinks and other accouterments for Officers and Enlisted personnel, the Marine Corps has three styles of cuff links—versions for Officer, Staff Noncommissioned Officers, and Noncommissioned Officers/junior enlisted. 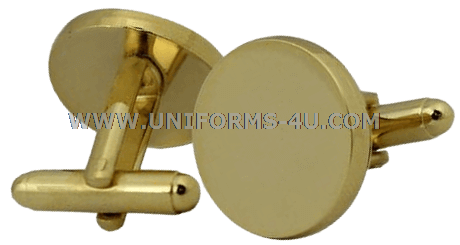 The NCO/junior enlisted cuff links are gold-plated and concave, lacking any type of insignia or emblem. 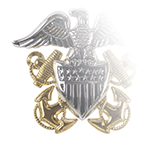 Officers and SNCOs, on the other hand, wear cuff links superimposed with the USMC Eagle, Globe, and Anchor emblem. 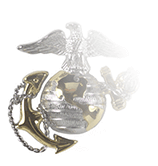 In 1989, the Marine Corps added the Dress Blues to the initial clothing issue for all recruits; prior to that time, only Honor Graduates received a free set of the uniform. 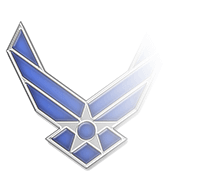 The Corps reverted to the Honor-Graduates-only policy in 1993, making the Dress Blues an optional uniform as a cost-cutting measure. The policy was reversed in 2007 with the announcement that all new Marine recruits would be issued Dress Blues at boot camp starting in October of that year—and that ownership of a set of Dress Blues would be mandatory by 2011.